As usual, April has become the month chosen by the leading manufacturers to launch terminals presented during the Mobile World Congress 2015, among which never any missing another first sword of some important firm. 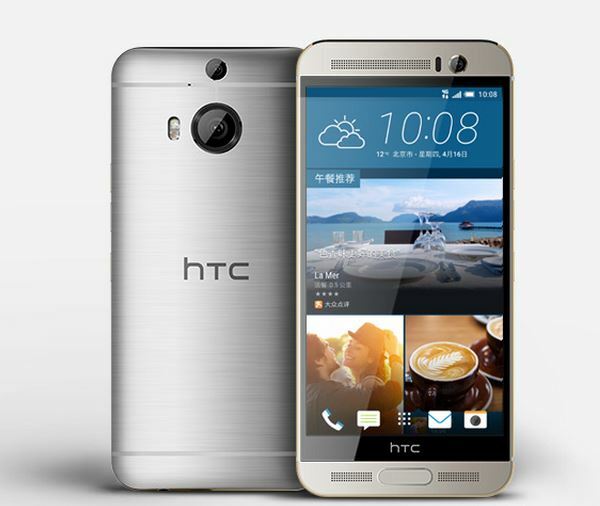 This year those who opened fire have been HTC and Samsung, with the M9 One HTC and Samsung Galaxy S6 Edge have been waiting for more competition among high-end Android, but confirming us clearly the rotation that is giving the market. Surely won’t be a surprise to anyone that I talk about today’s design and construction of smartphones, and we assume that we’re not going to catch anyone off guard if we say that this is the way that the Android market of closer to directly compete in the League of Apple and its iPhone. The finishes are not the only way to do it, but well it is true that the catalogue of Android terminals It started to become saturated in excess and needed a change, and what better way to start to grow in a section where Apple was best reviews. It is evident that a high-end smartphone cannot remain lame with its hardware platform, although it is also more than demonstrated that power has reached such an extent that the differences are now sufficiently invaluable to convert to other factors in differential. Today no one expected a terminal of high range that isn’t at the height in hardware, because own mid-range begins to pull truck with very compensated devices already they maintain the user experience at very high levels with prices contained. In this frame of mind, Samsung and HTC have traveled different paths, because while the first wanted to mount the most powerful hardware on the market for the high-end flag, HTC has endeavoured in offset the hardware to keep at Bay the autonomy without doing crazy things with numbers. Samsung nothing to say, because the Koreans have to maintain the status of the Galaxy S range, often incorporating the best that the market has, but HTC bet Yes we could say that it is correct in the mode to compete with different arguments, but then would have to compensate for a price that HTC remains out of market. In this frame of mind is when we can start talking already of design as the new horse battle the high end this by 2015, especially in terms of materials and finishes a terminals that now they will have to justify their high prices also on the aspect and the feeling in hand. There is no doubt that This was a battle won by Apple’s historical form, with critical well built and good terminals that did not receive response from the Android platform, but with really small sizes than the iPhone 6 has been responsible of arranging. In Android, only came close beside the design some specific terminals above all of the Sony catalog, as a precious Sony Xperia Arc which however not reaped much success, as well as the Xperia Z, which showed that Android phones could also be designed and constructed with taste and quality materials. This year seems to be chosen by the majority of Android manufacturers for make that leap in quality that we have been peering in terms of design and materials in the high range, and already the majority have left see that their devices will be at the height of the circumstances. HTC has kept a few lines of success which, however, needed a slight renovation as front use, without sacrificing that Yes to a housing unibody machining aluminium that seems a work of engineering more than worthy of the high range. Samsung, on the other hand, needed this turn to give a coup, leveraged further by a version with curved screen that gets a ‘WoW’ effect that the Korean firm have sought diligently. Risking, that Yes, breaking traditions such as the removable back, but rightly. However, not only in construction will fight Android already for you to you with other platforms, but also with a clear commitment by the improvement in photographic capabilities devices, as well as with a mature software ecosystem and functional in most situations. Samsung has approached the excellence in its Galaxy S6 camera, our analysis attests, and HTC has taken a step back for forgetting their UltraPixel to try a leap forward with a Sony sensor 20.7 megapixel proven solvency. Huawei and LG seem to be the following to present their improvements in their upcoming ships camera logo, the first of them this same noon. In terms of software, Android 5.0 Lollipop has returned to take a leap in the right direction, unifying style guides and improving performance without penalizing energy consumption thanks to its new Android RunTime and support for 64-bit hardware. As if this were some Android for Work already has a good solution for professional environments and leading manufacturers have decided to provide improvements more than cosmetic changes with your customizations. There is no doubt that Android and its high-end walk in good way, although not forget that This market moves very fast and continuously, so we hope that improvements of the next versions of Android to continue taking steps forward to take advantage of the leading manufacturers. We will know more in summer during the Google I/O 2015, so for the time being will have to conform to go keeping the site for presentations of Huawei – today-, April 28 LG and Sony, OnePlus and other players in the market that we don’t yet have dates.